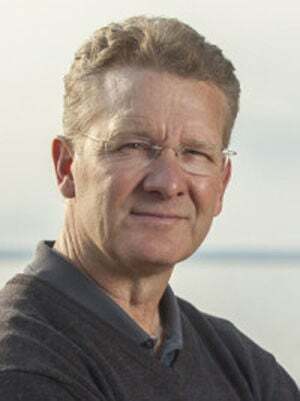 To help cut through the confusion surrounding the Great Lakes water diversion debate, award-winning author Peter Annin will speak at Carthage College on Wednesday, April 24, as part of the Gunderson Lecture Series. Annin will give a talk titled “Great Lakes Water Tension in the 21st Century” at 7 p.m. in Jockey Room B of the Todd Wehr Center. A reception and book signing will follow the lecture. Last fall, Annin published a major revision of his 2006 award-winning book “The Great Lakes Water Wars,” a book discussing the Great Lakes water tensions in this region and beyond. From Waukesha to Foxconn to the massive water diversion in Chicago, this issue continues to make news across the region. Throughout recent history, southeast Wisconsin has been on the frontline in the Great Lakes water diversion debate, especially in Waukesha, New Berlin, Mount Pleasant and Pleasant Prairie. Annin is the director of the Mary Griggs Burke Center for Freshwater Innovation at Northland College in Ashland, Wis. He previously served as managing director of the University of Notre Dame’s Environmental Change Initiative. This event is free and open to the public. RSVP’s are preferred by noon April 23. To RSVP, visit www.carthage.edu/event-registration/gunderson-lecture-series/.